How many times can I use the same K-Cup? 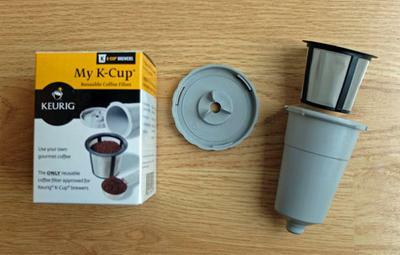 The reusable My K-Cup coffee filter for Keurig brewers. Can I re-use the same K-Cup to make multiple cups of coffee or do I need to change the K-Cup each time? K-Cups are designed for one use only. You use the K-Cup once and then throw it away. If you find that wasteful, and a lot of Keurig brewer owners do, you can get a Keurig My K-Cup Reusable Coffee Filter . This is a reusable filter to which you add loose ground coffee each time you want a coffee. After each brew, you clean it out and use it again the next time. Is the plastic used in Keurig K-Cups safe? How to make my own Keurig coffee cups? How can I descale my Keurig K-Cup brewer? Can I recycle my Keurig K-Cups? Comments for How many times can I use the same K-Cup? Just use a new one! If you want cheap coffee get a regular coffee maker. I use a single use k-cup pod and set it for a 6 ounce cup of coffee. As soon as the cup is brewed I open the lid and close it straight back and hit 6 more ounces. I get a 12 ounce cup of coffee that tastes just fine (I like my coffee strong, and cannot drink it weak.) My Keurig will only brew up to 10 ounces, so this way I get 12 ounces, no problem. I have not ever 'stored' used pods to use later. Since I posted in April 2017, I started using the plastic thing that came with my Keurig model. Daughter gave me hers, so I pre-fill them both the day before. I use bulk Folger's grounds. I save a TON of cash, keep those pods out of the landfill, AND get to enjoy the aroma of coffee grounds during the fill! Personal opinion here. Utilizing a single serve, without sizing options (holds 300ml/10oz). I find if you use 1 kcup and brew 600ml aka 20oz aka 2 standard mugs at once.. you get good flavor and still feel the caffeine boost. I also find if I brew a 300ml aka 10oz 1aka standard mugs once, drink nearly all of it (I typically leave a good glup left aka 2oz) and run another 200ml/8oz of water, I'll get a nice "top up"...but I find brewing a complete 2nd cup from an already used kcup leaves you with brown water that smells like coffee and kinda tastes like it...get no satisfaction. Currently drinking a breakfast blend "top up" as I type this up. Neat to see anothers agree with similar findings. I just tried reusing a k-cup for a 2nd cup of iced coffee, man it was terrible tasted like an ashtray I still have the awful taste in my mouth. I have used my K-Cup twice and gettwo good cups of coffee. Unlike mine mild and the taste is samebonthe second as the first! If you open up a used k-cup, you will see an inverse "cone" cut in the coffee caused by the water passing through it. It is obvious that a second use would miss most the coffee pushed out of the way by the stream of the first cycle. When I re-use a k-cup, I take it out, squeeze the side to collapse the cone and I get a stronger second cup that way. Will cut open the remaining counter cups today, to examine for mold. The re-use counter batches tasted normal, so the weirdness might just be "me". LOL But that has never happened before in my 71 years, and only lasted 4-5-6 days until it "wore off". I assumed that the used cups stored on the counter would be safe in winter, but that was probably a mistake. I will store them in the fridge from now on, for sure, or re-use them within a day or so. BTW, I buy my K-Cups in the 80 count boxes from Ollie's or Marc's. Full price is fool price! Mom says using a k cup twice produces more acid in the second cup.... any validation of this??? My Keurig only has a 10oz maximum size so when I am filling a travel mug I will do a 10oz strong brew and then using the same pod do a 4oz or 6 oz brew from the same pod to get 14-16oz of coffee from one pod. After using the k-cup once, cut a small 'cross' into the hole at the top of the cup. Pull back the little aluminum edges that you made with the cut enough so that you can pour a small amount of loose coffee into the enlarged hole. Press the edges back down again so the original hole is formed back up and reuse the cup. The added loose coffee is enough to sufficiently strengthen the second cup. Please understand that I am not trying to be rude or play the devil's advocate.However, many of these answers are so confusing. By saying you use your cup "twice to make 2 cups of coffee" without including what ounces you use, doesn't really answer the question. So,I will give my non professional 2 cents. First I use a reusable filter and my own ground beans. I fill the reusable cup up to the mark that says "Max" typically about 3 teaspoons. 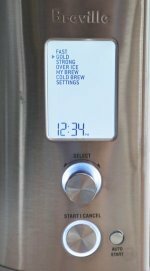 I brew into a regular coffee pot at 12 ounces the first time and then I brew a second time (without changing or refilling my pod) at either 4 to 6 ounces (making a total of 16-18 oz). For me this makes a perfect cup of coffee, actually a couple cups of coffee using a large Tervis cup. I prefer a medium to strong flavor. Thank you for all the other responses that helped me figure out my own process. Hope this helps clarify for others like myself that needed a little extra detail. Happy New Year! & Merry late CHRISTmas!! I've had my machine for 3 days and love the coffee coming from it, but am trying to sort out how to get the best value from it. I'm going to try several of the techniques noted here. I don't like the waste of the K-cups and am trying to figure out how to extend the life of them. I'm using the small and medium settings into one cup for a decent portion serving. I definitely am troubled by having to continually refill the water reservoir, but don't want to use tap water. I haven't seen that issue addressed on this tread, though. Merry Christmas to everyone. If using a pod twice I get the optimal flavored by only selecting 4oz or 10oz. Many users have already commented that 20oz single use taste great so double use with only the aforementioned sizes works as well. I get 20 oz of coffee per k cup either Keureg or other brands. They are the same except price. From the reusable cup, I grind beans fresh using one level teaspoon, one time for 10 oz cup. I never tried using the same pod twice because I think it would clog. If I did then I would only try it with the strongest coffee I know of and that is Starbucks. I think it would not affect the taste if you ran it through twice. Example being the french roast. I would expect a good strong cup even at once on the 10 ounce portion and equally tasting on say a 6 ounce brew on the second time around. I would not attempt this with weaker blends of coffee and pods that contain less volume of coffee,as we know they do contain different volumes of coffee from one brand to the next. So, I reuse my K-Pod but the key is to change the ounces. I make 10 ounces the first round and then reuse the same K-Pod and decrease the ounces to 4oz. and sometimes the setting on the second cup to STRONG, just depends. It works for me every time and it tastes just as good. I run a small coffee club in our office; I take used cups, rip off the foil, thoroughly clean and dry, re-sleeve the filter with a Melita Single Serve filter paper, fill with our preferred coffee, and cap with a square of foil snugged up around the edges. When used, we align the previous penetration point. We re-use these re-cycled cups about two dozen times without issue. I mark the bottoms to ID each 'generation' so that there is a clear cut-off. I refill about a week's worth at a time (60); takes me about 40-50 minutes to reload. I've made two cups of coffee with one Keurig cup A lot depends on how big the mug is that you use. I have a question. When the water flows through a Kcup do all of the grounds get used? or only the grounds in the direct flow? I mostly drink flavored water throughout the day, so.. When I started drinking coffee with my new machine.. I use the same K-cup in the morning and throughout the day.. that way by night time the last cup I have is a lot less caffeine, which doesn't keep me up all night. I don't use sugar or cream to be more healthy.. The coffee taste is much better than plain water. I used to use Mio, tea bags, and instant powders to add to water so I could get my 2 liters per day.. I'm using Gloria Jean's Hazelnut K-cups. So far, I'm getting about 5 - 14 oz cups out of each one ~this seems to work for me. Here is how I reuse mine. Wet or dry either is fine just so long as they are not still hot. Take off the foil top but save it, it doesn't matter if you rip the filter. Push 2-4 seeds into the coffee and top with potting soil Pour 1 tablespoon of water every other day (if it is dry). Then top with foil lid. I stand them in both halves of a styrofoam egg carton. I also reuse any water from them for watering when it's time again. I plant when their 1-2" tall. I can carefully reuse them 4-6 times this way. I use cups twice by doing this: let the grounds from 1st cup dry for a day or so by -removing cup from machine. Remove the grounds, rinse well, and let dry. Use your own coffee to fill cup, cover top and bottom with aluminum foil tightly to cover holes on top and bottom, removing excess foil. Use in machine to make s second cup. I've found this works more than once with these cups. This makes a better cup of C than using that extra coffee holder you buy- the water flows thru that too fast. Try it! I usually make two cups of coffee with on K-cup single use coffee. Based on the comments here, I tried using a cup my wife had just used to made a 10 oz. strong cup in our Keurig 2.0. The result was something that looked like weak tea and tasted a lot worse. I personally find people throw the cups away after a single use. I pick them up out of the garbage and reuse them. They taste great and almost sweet, sweet like the money I saved by not buying my own cups. What I have learned is each coffee brand contain a different amount of coffee in each cup, I like strong coffee, some cups contain as little as .34 oz per cup up to .47 oz per K cup, so I only buy the K cups that contain .45 oz or higher that way my second cup is always very favorfull. If you have an original Keurig (not the new 2.0) it should have included a grey cup, cap and screen filter. Lose the screen filter, it does no hold the hot water long enough to brew good coffee. Step 1: Carefully remove all of the foil from the top of a used K-cup. Step 2: Empty and rinse the K-cup and let dry. (I keep 6-8 dry cups at the ready). Step 3: Fill the cup to the top with your favorite fine ground coffee (do not tamp or settle the grounds). Step 4: Place it in the grey cup holder and put the cap on tightly (the first time reuse may take a little extra pressure, but subsequent reuses will be a snap). Step 5: Place it in the brewer in place of the K-Cup holder and you are ready to brew (the next to largest cup seems to work best). I get about six reuses before the paper filter starts to deteriorate. That’s six non-recyclable cups that do not go into a landfill. I've made two (8oz) cups of coffee with one K-cup and the second one wasn't watered down at all. I definatly recommend getting two cups out of it even though they say it's good for one. Maybe it depends on what kind of coffee, but I drink mudslide, hazelnut, morning breakfast, and chi tea. I try to reuse the same puncture holes top and bottom. The hot water is forced through the k-Cup. Having a second hole on the top might cause some leaking on the top of the k-Cup. I have a 20oz go mug that I use everyday. I hit the 10oz setting twice to fill it up with just enough room left over for a little sugar and cream. I drink the strongest coffee i can find, so even if the second batch is half as week and the first batch it's still strong. It's all a personal preference. And I enjoy coffee to much to waist a drop lol. I use 1 K-Cup to brew a large mug of 14 oz of coffee. I hit the medium button, after that's done I reset the lid, then hit the small button and get 14 oz of coffee that's a perfect strength for me, not too strong or too weak. Never tried to use the cup after that, I imagine it might be pretty weak by then. But I don't see why some couldn't hit the medium button twice and get a decent strength of coffee for a 16 oz. mug. 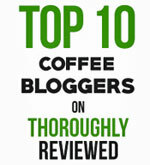 What are the negative impacts to your Keurig if a k-cup is used more than once? Editor's Note: No negative effects on the brewer. It's just that the second cup will be really weak. I have a mug that holds 10 ounces, if I add 10 ounces of water, my coffee is very weak - even 8ounces of water still gives a weak cup of coffee. I have the K 10 mini plus. I've been doing the same with my platinum edition, but I have been taking out the k cup and spinning it 180 degrees for a second puncture at the bottom on the opposite side... I don't know if it makes a difference or not... But my second large cup tastes as good as my first.... I'm brewing at the highest temp if 192 degrees. I used a large mug and brewed English Breakfast Tea for the large cup, and then again for the tea cup size (both in the same mug) The result was a very strong very large cup of tea. My wife and I get 3 cups of coffee out of 1 k-cup. How many good cups from one kcup? It kind of figures that if I can get a 10 ounce cup out of one Kcup then two five ounce cups are just as delicious. I'm still experimenting and I'm up to two sevens. Still good. I get two or three 12oz cups out of most of the K-Cups. The third cup is a bit lighter, but still quite tasty. This works on some brands better than others, and oddly enough best on light roasts. If you get something that mixes a powder and it all comes out, like hot chocolate or chai latte mix (and some of the cheaper store brand instants), then you can obviously only get one cup out. I have used one K-Cup to make 3-10oz cups and still tasted great. 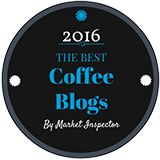 I viewed comments about hot to achieve great tasting Dunkin Donut's style coffee. The solutions boiled down to the temperature of the water. Literally, boil the water first, then put it into the coffee maker and brew. The difference is like night and day. I stop using my coffee maker until tonight 01-14-2010. I decided to give it another try. So i boiled the water first, then normal brew, BIG DIFFERENCE! Try it for yourself. Let me know what ya think! It's better brewing, much better taste! Thanks Coffee Detective. My case solved for bad tasting coffee. Hotter brewing water was needed!